We value our patients' experience at Daniel T. Shea DC, PC. If you are currently a chiropractic patient, please feel free to complete the following Client Experience Questionnaire. The Questionnaire is in Adobe Acrobat format, and requires the free Acrobat Reader to view. "I've been a patient of Dr. Shea's for about three months and he has helped me tremendously with his proactive methods of care. I've previously been treated and then told to call if I felt I needed to come back. Dr. Shea is different in that he treated my problem, gave me exercises to assist in recovery, and continues to monitor me so that I'm in the best chiropractic health possible. He is caring, thorough, and makes himself available for his patients." "Method of adjusting - It's not the same thing all the time. He has some different procedures that I've never had before. Unique - The relaxing part before treatment, either with heat or ice. Just seems to settle a person emotionally & physically. Everyone is extremely nice." "I was having some pain with my upper back and neck and was able to get right in to see Dr. Shea. After two adjustments I was doing much better. Dr. Shea suggested a couple of exercieses to do at home that would continue to help my neck. Thank You." 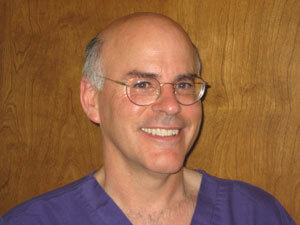 "I have been a patient of Dr. Shea for fifteen years. I went in complaining about neck pain and low back pain and found him to be concerned and very thorough in his examination and explanation of my problem. He gave me home therapy instructions which helped to speed my recovery time." "Came to Dr. Shea with back & hip out. After showing concern & explaining his method of adjustment, he fixed my problem. He gave me home therapy instructions to help speed recovery time." "Dr. Shea explains what he will be doing, is thorough in his examination, is very helpful in explaining the problem and provides home therapy instructions & suggestions that help." "I've been to see Dr. Shea several times over the years for neck, back & hip pain, & each time after only 2 or 3 sessions the pain has gone away. The heating treatment before adjustments is very soothing & relaxing." "I have been a patient of Dr. Shea for 2 months. I was referred to him because I needed more help for back and leg problems. Dr. Shea's office and help are extremely friendly and seem to sincerely care about the patients. Dr. Shea seemed deeply concerned about my welfare and is gentle in his method of adjusting. Scheduling is simple and I feel well informed about my problem. I received ideas for exercise and stretches." "I was scared to go to the chiropractor because you hear horror stories of always having to go after visiting once. As if it messes your back up or something. And I had a bad experience with one in Grand Rapids before Dr. Shea. But Dr. Shea explains everything he's going to do before & as he's doing it. He's very gentle & always knows the areas that need attention. He has helped me with my lower & middle back as well as my neck. I always feel like I'm sitting up real straight when I get in the car to leave. And he has provided me with many exercises and tools to use to strengthen my back. He is very good at what he does & sincere & caring to his patients. He's one-of-a-kind! I also like taking the Xango that they have at their office."